Weight: 1.19 kg (including dagger; 1.03 kg without). Length dagger blade: 25.5 cm. The history of the mace reaches back very far. Its forerunner was the club, having been used since the origins of humanity. In the course of milleniums it slowly developed further, finally becoming the mace. As early as 4000 BC mace heads made of stone were used in Egypt. and from about 3000 BC onwards the existence of cast bronze heads is evident. 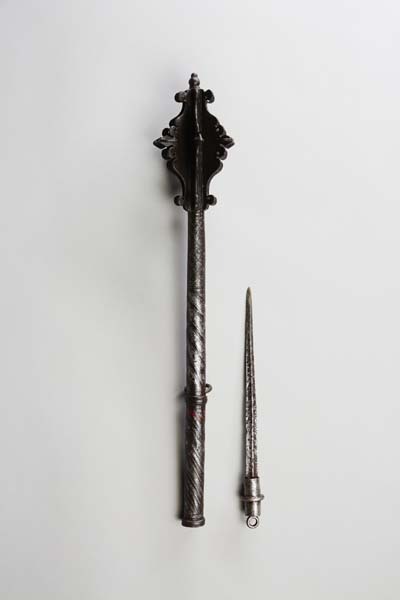 Also in the European cultures this weapon had been very popular from the beginnings. The Bayeux tapestry dating from the 11th century shows combatants equipped with the mace at the battle of Hastings in 1066. 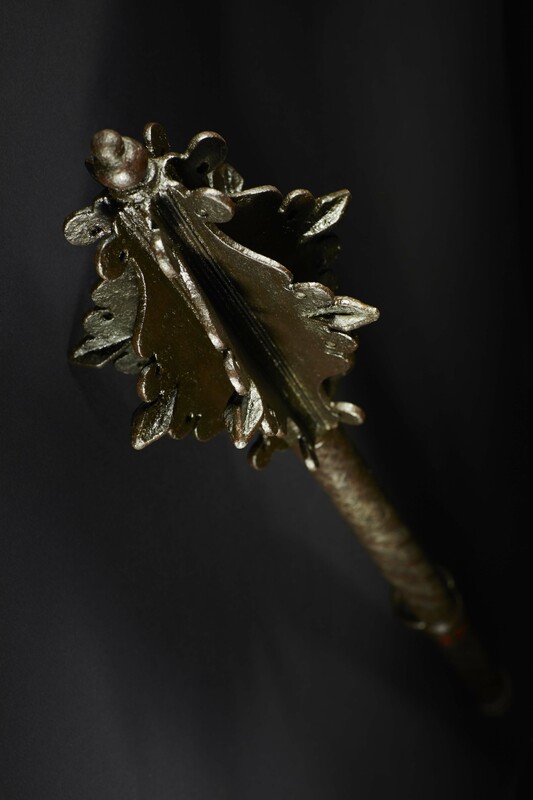 In the course of Medieval times the mace became a highly sophisticated knightly weapon, often elegant and handsome. After riding at the opponents with the lance knights often prefered fighting with the mace instead of the sword, when the mobility was limited due to a crowded combat situation. Particularly since the introduction of plate armour the mace had proven very effective. It was now often made entirely of steel with a head constructed of several forged flanges, each tapering to an acute point at the side. The energy of a thrust thus concentrated on a small point and penetrated the iron plates.